See life in pink and get ready to say ‘WOW’! This pink clay mask cleans your pores deeply. By absorbing toxins and impurities, it gives your skin a smooth, matte finish. French pink clay and kaolin absorb excess sebum, while magnolia extract and panthenol – thanks to their anti-inflammatory and anti-bacterial properties – work to fight rashes. French pink clay: absorbs toxins and mattifies. Step 1: For the ingredients to work, apply the mask in a thick layer on clean skin, avoiding the eye area. To make application simple, use our MASK BRUSH or your fingers. Step 2: Let the WOW effect work for 7 to 10 minutes, then rinse thoroughly or use our HELLO KONJAC sponge. Use 1 to 3 times a week. When applying the mask, you may feel a slight tingling and cooling sensation. Don’t panic! It’s the clay working to absorb excess sebum and impurities in your pores. 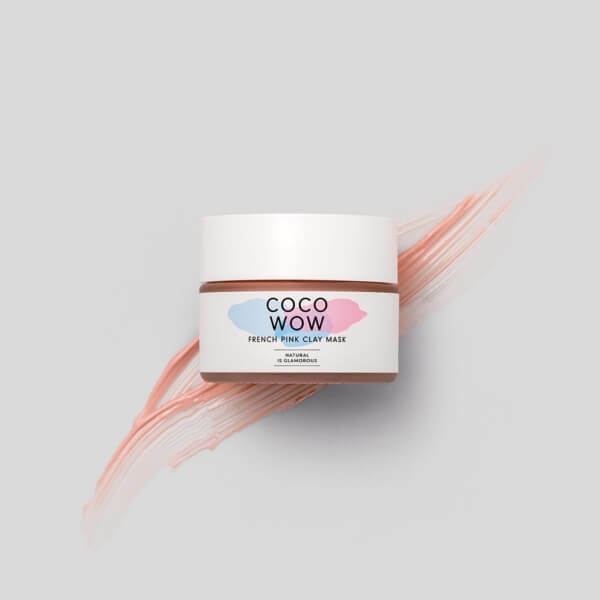 When the members of our team tested this product for the first time, we were so amazed by its effect that we decided to call it COCO WOW! 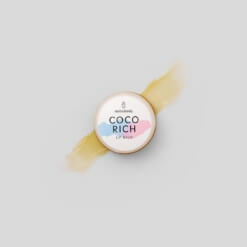 Combine our moisturising night cream COCO SOFT, our face toner COCO CALM and the COCO WOW. The routine that gives your face a pure moment of wellbeing. Combine our cleansing foam COCO FRESH, our 24-carat gold oil COCO GOLD, our moisturising sheet masks COCO TREAT and the COCO WOW. The routine that mattifies shine and makes your skin more glamorous than ever. 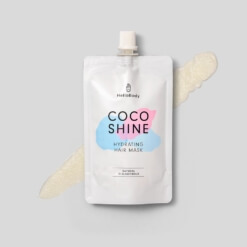 Combine our moisturising sheet masks COCO TREAT, our 24-carat gold oil COCO GOLD, our shimmering face fluid COCO PRIME and the COCO WOW.